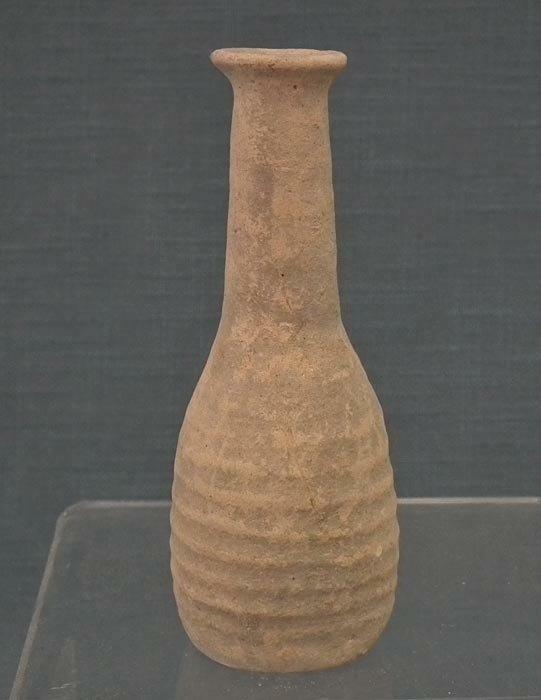 Authentic ancient Roman 1st - 2nd century A.D. terracotta perfume flask, Unguentarium, with swelling ovoid body tapering to a long, cylindrical neck flaring at the rim. 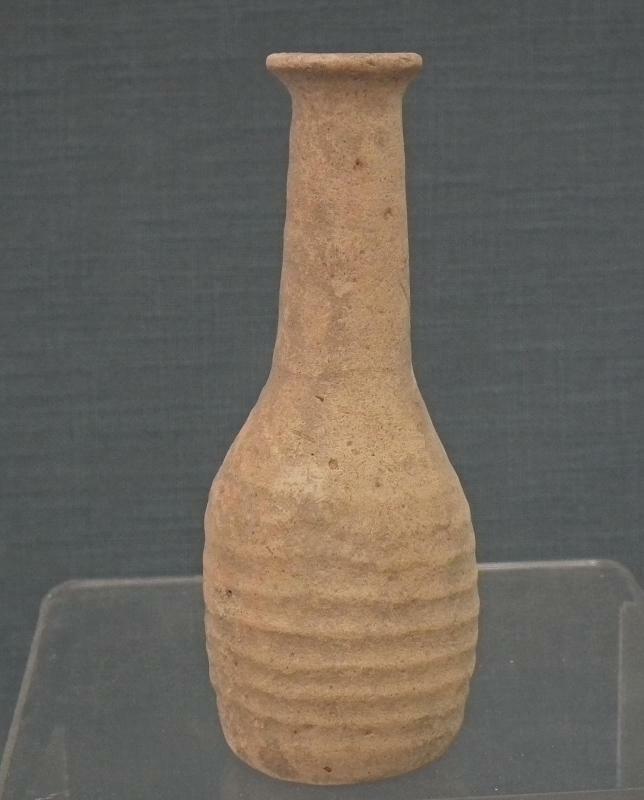 CONDITION: In good condition considering its age to be over 1800 years, in its original unclean condition with age patina, the incrustation and mineral deposits, strongly visible on the surface. No repair or restoration, complete and intact as found. 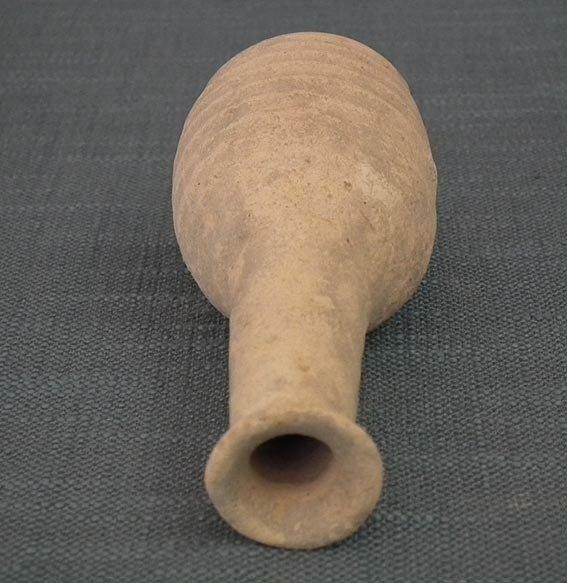 1st - 2nd century A.D. 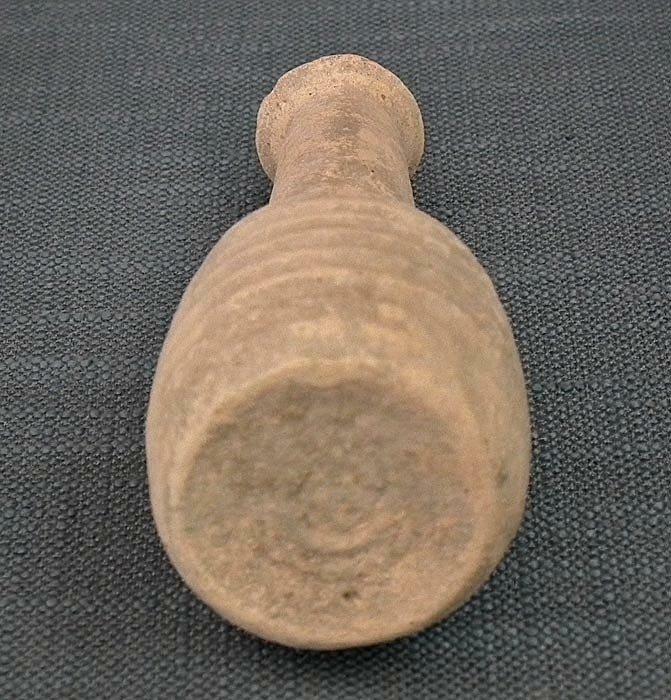 Items Similar To "Ancient Roman Terracotta Perfume Flask Unguentarium 1st - 2nd cen..."